Words can be invective (“He’s the angriest man you’ll ever meet. He’s like a man with a fork in a world of soup.”), joyful (Masseurs are people who knead people), important (if the more emotional, evocative word ​‘stay’ had been used, would more people have been swayed to remain in the EU?) and playful (the unforgettable Beanz Meanz Heinz). Most importantly, though, words make us human and that’s what makes them (and us as a species) so special. The basic skills of writing are more or less universal. Anyone can write, few can write well. Choosing the right words is a talent. Words that exploit the infinite combinations available to us to say something new and original. Words that not only describe the literal (table or chair), but endeavour to explain abstract, intangible concepts like our experience of love or freedom. That’s why choosing the right words, precise words matter. And also why, whatever Adam Leibsohn Founder of Giphy says, gifs will never speak louder than Shakespeare. From the victorious anti-verbosity of Ceasar’s ​“Veni, Vidi, Vici” to perfectly punchy poetry ​“I wanted one life / You wanted another/​We couldn’t have our cake/​So we ate each other.” or one-syllable election winners such as ​‘Hope’, all you need to harness the power of words is a voice. Hi, hey, hello there, howdy – whatever it is you say, don’t fall into the trap so many corporate brands do, don’t sound like a robot. Ban words which don’t come naturally such as utilise, implement or enable to help your brand sound more believably human. We all know words aren’t the only things which speak volumes, but while images show you something words ask you to imagine something. Both can be powerful or pointless depending on how skilfully they’re used. One way to enliven and enrich your writing is to borrow from other disciplines. Theatre, for example, can show us how to create more believable characters by building empathy, developing backstory, finding an interesting hook and considering the how your character would interact with the immediate scene. Borrowing from other creative fields can always inform and shape our own work. And that, fundamentally, was what this language littered evening was all about. 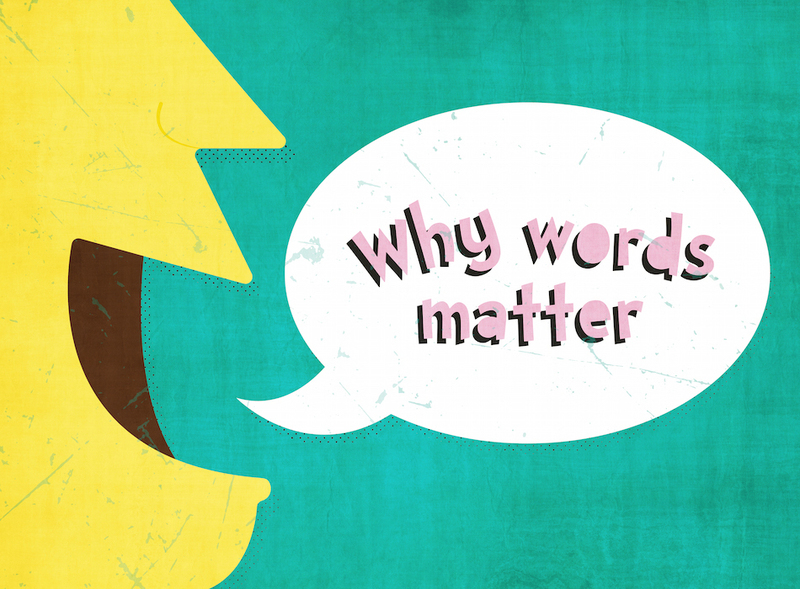 For through haikus and headlines, sarcastic snipes and soliloquies, brands and bullshitting, we showed why words really matter; because they allow us to share our perspectives, personalities and passions with others. To leave us informed, illuminated and inspired, just like our audience was last month. There are only two (precise) words left to say to our wise WEDF wordsmiths who brought us such a wonderful evening; THANK YOU.